With vast experience and knowledge we are involved in offering a premium quality range of Zinc and Manganese Removal Filters. These are highly reckoned among our clients due to their fine quality, high durability and long life. 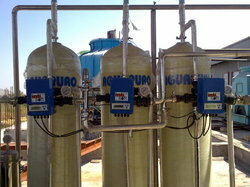 These helps in manganese removal systems which help water treatment plants to deal with these problems.